My preschooler is a big fan of the zoo. She loves zoo animals, visiting the zoo, books about the zoo, and zoo-themed toys. 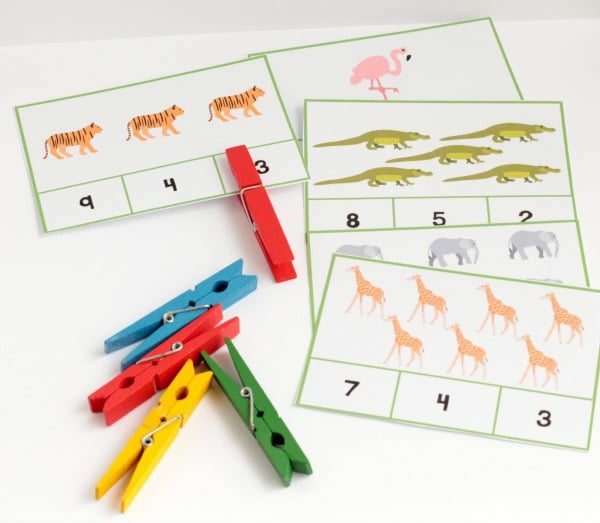 Since she’s learning to count to 10 right now, I made these super-fun zoo counting clip cards to help her learn! 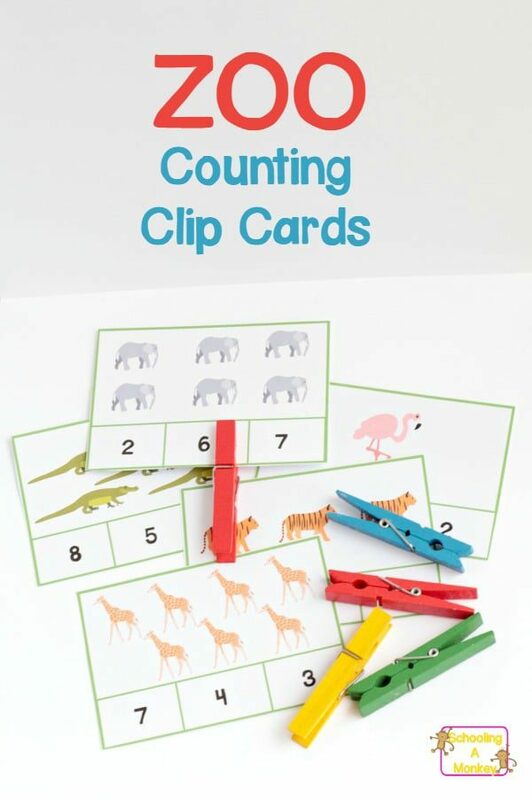 The best thing about these clip cards is that they not only help teach counting from 1-10, but they also help develop fine motor skills if you use a clothespin. If you don’t have clothespins at home, you can also use beans, bingo chips, or even mini-erasers to mark the correct answer. 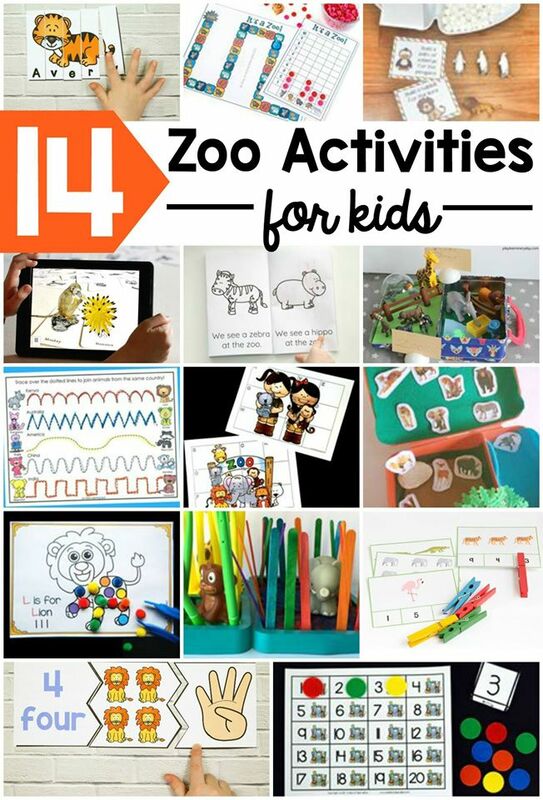 After getting our clip cards, use the other ideas linked below to build a whole zoo-themed thematic unit! 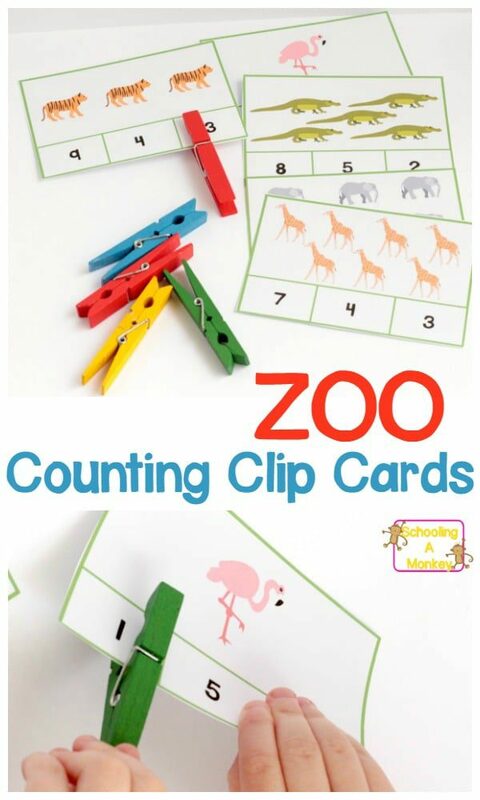 These zoo counting clip cards are almost no-prep and are ready-to-go! Just download, print, and cut out and they are ready to use. Download your zoo clip cards here. After downloading, print the clip cards and cut them out. 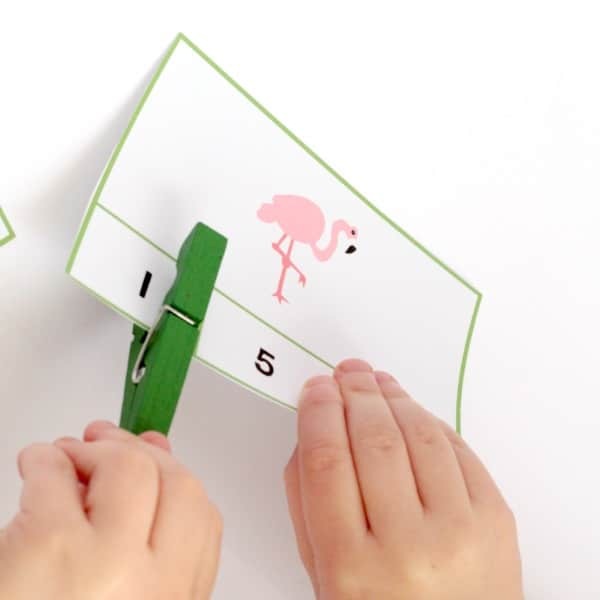 Give them to your preschooler or kindergartner and let them clip the clothespin onto the correct answer. If you don’t have clothespins, use your imagination on what to use for your marker. If you want these cards to last, I recommend laminating them. Once laminated, preschoolers and kindergartners can’t tear them and they can be used from year to year and with child to child. 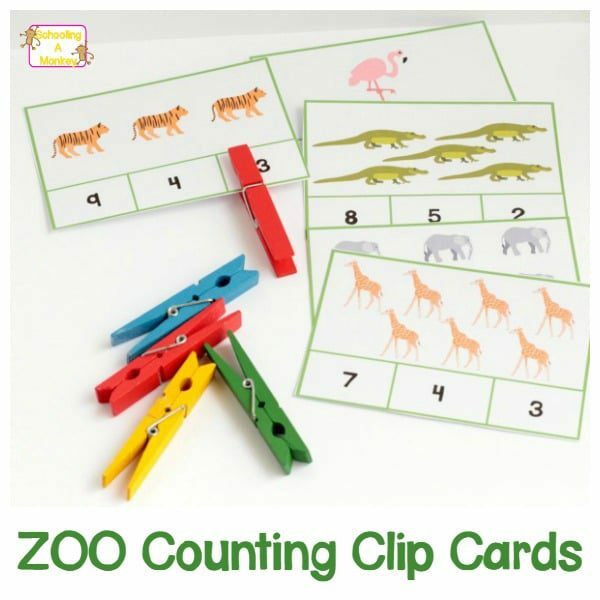 Download your zoo counting cards here! Use these other ideas to complete a zoo theme unit study!